TRANSPORT for London (TfL) has compiled a ‘wish list’ of possible improvements to rail services aimed at coping with the capital’s rapidly growing population. The package of upgrades is valued at £3.6billion. The project would include preparatory work for Crossrail 2, linking north-east and south-west London, by quadrupling the Lea Valley route, platform lengthening schemes to allow longer trains on various lines, and the conversion of inner-suburban services on Great Northern, South Central and South Eastern routes to ‘metro’-style operation. £1.2bn of the total cost would be dedicated to increasing capacity on London Overground services. Other proposed schemes include Old Oak Common interchange stations at Hythe Road and Old Oak Common Lane; £400m upgrades to the Brighton Main Line, including two new platforms at East Croydon; and remodelled junctions in the East Croydon area. The £3.6bn figure also includes the cost of additional rolling stock to lengthen trains and increase frequencies to reduce overcrowding, which is expected to grow as the city’s population climbs towards 10 million. 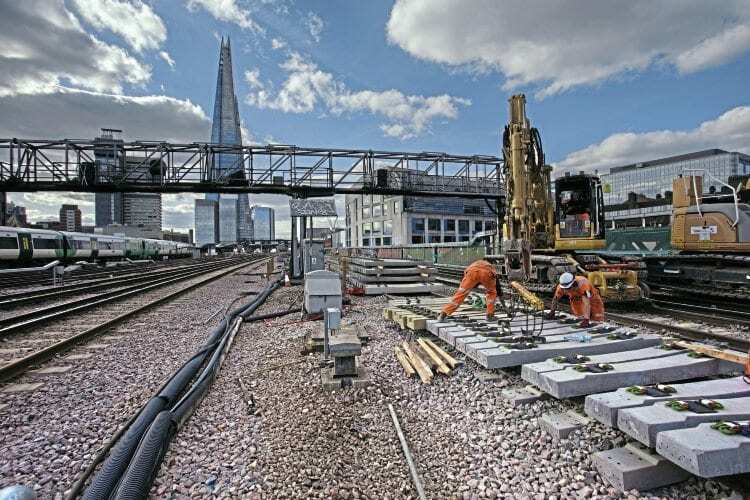 The plan forms part of industry input into the next High Level Output Specification (HLOS 3) that will help the Department for Transport decide what projects Network Rail should prioritise as part of Control Period 6 (CP6), which will run from 2019 to 2024. TfL will become wholly self-funding for day-to-day running costs from 2018, with income from fares, advertising and property deals paying for running costs and improvements within the network. However, funding for major capital investment will still need to come from central government.